Kids are naturally inquisitive. The wonders of the world around them always inspire questions like, "Why is the grass green?," "Where do bugs live?," "How far is the moon?" --and that's just the tip of the iceberg. We may think bugs are gross, but all creatures, even the teeny tiniest of ants, are fascinating to kids. Uncle Milton celebrates the 60th anniversary of its classic Ant Farm toy with special ant-iversary (get it?) editions. The new versions--Antopia Rainforest in green, Antes Mountains in blue, and Ant Canyon in orange--feature a sleek design and 3-D lenticular scenes based on the style of the ant farm. My favorite part about these ant farms is that they come with long plastic tubes, so kids can connect multiple Ant Farms together, or create additional tunnels for their ants. 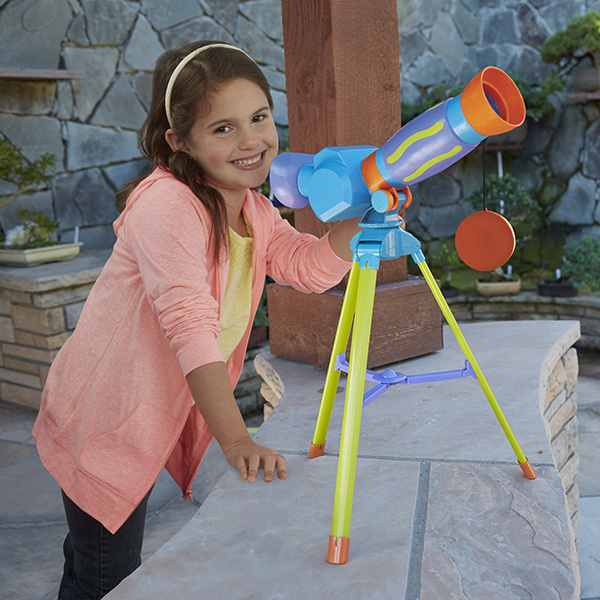 Kids can see into infinity and beyond with a great telescope, while also sparking an interest in astronomy. Unlike other telescopes, the GeoSafari Jr. My First Telescope is a focus-free scope designed specifically for preschoolers. It has a 10x magnification, tripod, built-in mirror, lens cap, and two large eyepieces with a goggle and nose cut-out for comfortable eye placement. The telescope also collapses for easy storage. The sky's the limit for young scientists! Butterflies attract kids with their vibrant wings, and kids can watch the metamorphosis process up-close with Insect Lore's Original Butterfly Garden. The set comes with everything they need to watch caterpillars develop into adult butterflies. 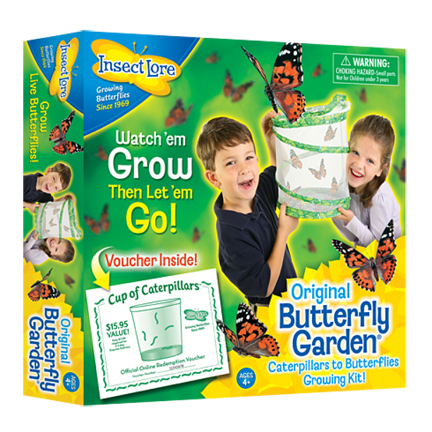 Parents can redeem the cup of caterpillars voucher on Insect Lore's website and the fuzzy little crawlers will arrive within two to four days. The tiny bug buddies will explore, eat, spin silk, and then grow wings 10 times their original size over time. 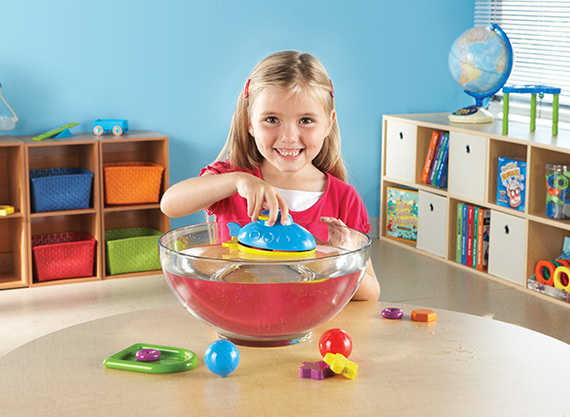 Science makes a splash with kids this year, and this 32-piece set introduces kids to physics concepts such as density, buoyancy, and more. Each piece--ranging from rings, balls, and stars--is a different size and weight, so kids can conduct experiments to see what will float or sink, all while having some fun with water. Laurie Schacht, also known as The Toy Insider Mom, has been covering the toy industry for more than 20 years. The Toy Insider produces an annual holiday gift guide in Woman's Day magazine, and also serves as a trusted resource for parents all year round at TheToyInsider.com and through social media.